I love trying beauty treatments from the kitchen. I think its fun and interesting and sometimes you even find something that works–this is not the case here. Pinterest is my go to source for everything–cat pictures, makeup tips, recipes–you name it I got it off Pinterest. While perusing Pinterest I saw a recipe for an avocado hair mask. I thought hmmm, I love avocado, love a good hair mask, lets do it! 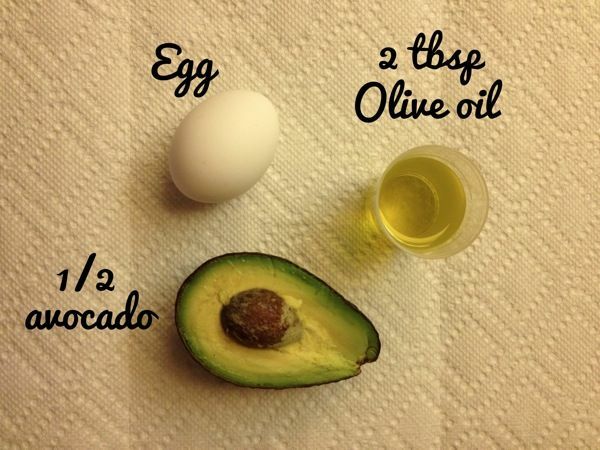 The hair mask recipe calls for 1/2 an avocado, 1 egg and 2 tbsp of olive oil. Whip it together and you’re ready to go! First of all I knew I was going to have to get in the shower to do this. So I ever so carefully put my bowl on the side of the tub and bam! It falls over! Thankfully it stayed right side up. As the instructions stated I got my hair wet and then applied the avocado hair mask. It was disgusting to apply. I had to dip my hands into this slimy, gooey mess and then apply it to my hair. The avocado then slid down my hair onto my body making me feel even grosser. After a while I kind of got most of the mixture into my hair and of course on the shower walls, the shower curtain, etc. I then waited 10 agonizingly long minutes with a head full of slime and then rinsed and shampooed and conditioned. After blow drying my hair, I realized that the damn avocado hair mask didn’t seem to do a thing. My hair looked the same, felt the same and thankfully smelled the same! 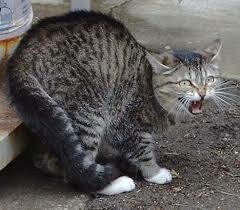 Hopefully by writing this post I will save you the same fate! Don’t do it! Pinterest needs a disclaimer on this one-use at your own risk! Have you tried the avocado hair mask? Did you have the same results as I did? Let me know about your Pinterest Beauty Fails! This avocado hair masks gets 4 paws down and a hiss!